Today our national library books arrived. In the box was a book on 'Mouse Shapes' by Ellen Stoll Walsh. 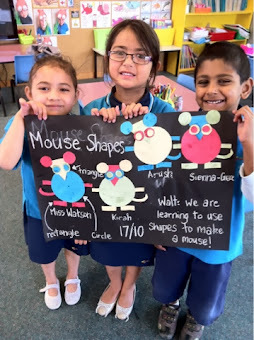 We read the story and then decided to create our own mice made out of shapes. The shapes we used were: triangles, rectangles and circles.